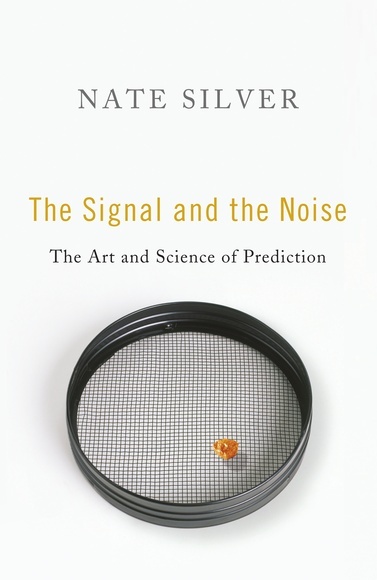 The Signal and the Noise: The Art and Science of Prediction, Nate Silver, Allen Lane, £25.00. In the quest to feed its hunger for knowledge, humanity has made relentless steps towards diminishing its state of ignorance. In The Signal and the Noise, well-known blogger and political pundit Nate Silver shows us the next leap ahead: “Big Data.” The book’s title represents the problem at hand. In an age where the volume of information is expanding exponentially, it is growing harder to understand what is actually happening. The signal is the road we must follow to navigate the fog of noise. From the natural sciences to games, Silver shows us how a more quantitative approach based on statistical methodology can be highly productive when trying to predict events in the future. Nonetheless, he also emphasizes how statistics remain a tool in the hands of humans who should know when and how to use them. Taking climate change as an example, Silver demonstrates how many forecasting models have failed to perform correctly because they have not adequately accounted for relevant scientific theories. The signal to detect in this instance is that theory and forecasting “are essentially and intimately related.” Hence, in the spirit of George Box’s affirmation that “all models are wrong, but some are useful,” it is important to use theory allied with common sense in order for statistics to provide useful results.